Once a client’s goal and readiness to engage in physical activity is determined, the next step is program design. 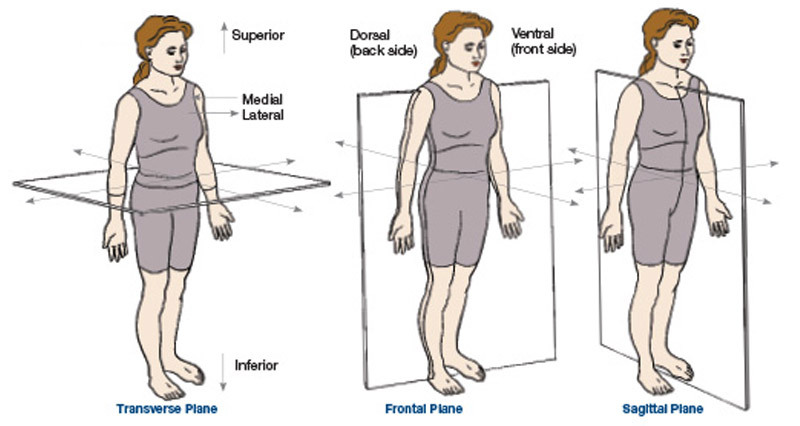 How you design and implement your client’s unique program depends on your observations and interpretation from the postural analysis and movement screens (if you chose to administer them). Reestablishing proper stability and mobility in the body is the main focus of Phase 1. When using the ACE IFT Model, first address proximal (toward the center of the body) stability via the lumbar spine/core before progressing to the distal (away from the center of the body) extremities or distal joints. Establishing proper core function (i.e., proximal stability) will allow for stable, central muscles that perform their given functions without compromising the actions of the distal joints. Clients can progress through the sequence shown in the figure below when an improvement in function is seen in the different segments. Improving the function of these segments ultimately leads to the establishment of static balance. Incorporating various strengthening exercises (stability) and stretching techniques (mobility), such as self-myofascial release, static stretching, and proprioceptive neuromuscular facilitation, will help address any potential problem areas that you observed in the assessment process. 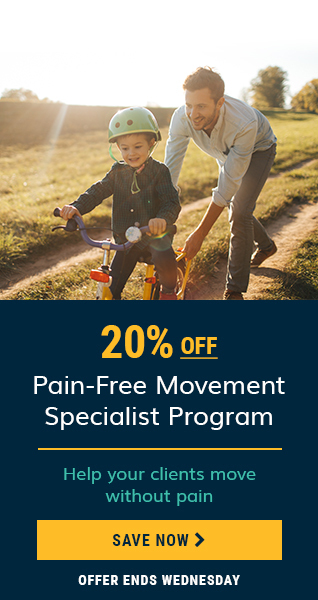 The main objective in each component of phase 1 is to improve the body’s ability to function efficiently by addressing any deviations and compensations observed in your initial screening process of posture and movement. Based on your findings, you may progress through the stability and mobility components—as the model above outlines—for optimal function. What is the function of this region of the body? 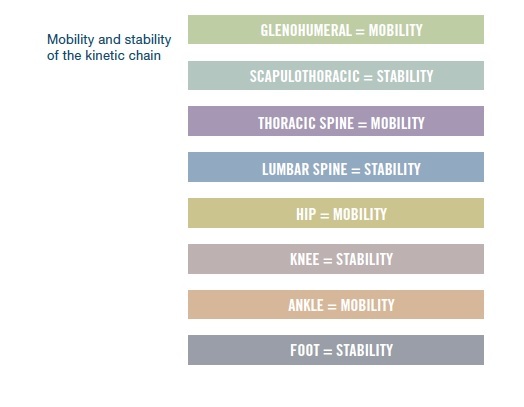 Each region has a specific responsibility in the kinetic chain with regard to stability and mobility. Having a working knowledge of the musculoskeletal anatomy will be essential to applying this information. For example, the core is made up of three layers of muscles. The inner layer consists of the rotatores, interspinali, and intertransversarri; the middle layer consists of the transverse abdominis, multifidi, quadratus lumborum, diaphragm, pelvic floor musculature, and the adjoining fasciae; and the outer layer consists of the rectus abdominis, erector spinae, external and internal obliques, iliopsoas, and latissimus dorsi. All of these muscles function as a unit to keep the lumbar spine stable during load and movement. 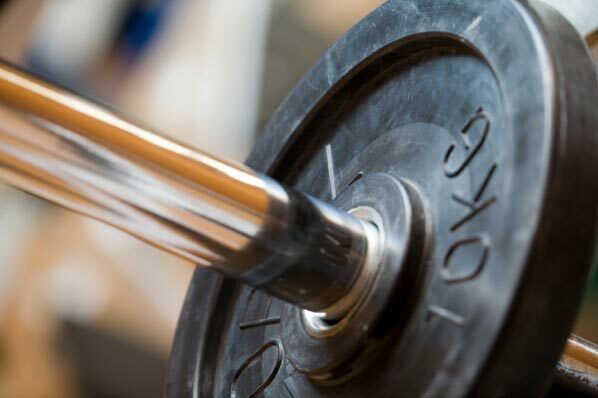 The more you understand how muscles function as a unit in the kinetic chain, the more effective you will be at designing a progressive program that is tailored to your client’s goals and needs. Which exercises address the findings of your screening? This is where you connect the dots. 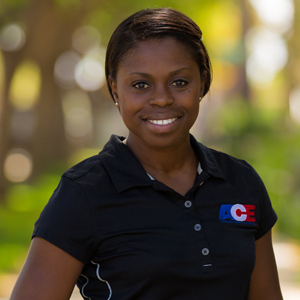 The exercises in phase 1 assist in improving joint function based on your initial assessment observations. Strengthening exercises are introduced for the weaker muscles (to improve stability), and flexibility exercises are introduced for chronically tight muscles (to improve mobility). As improvements are made in one segment along the kinetic chain, you may progress to the next. Phase 1 is important for addressing joint deviations, but keep in mind that you might not need to start every client in this phase. For instance, you could meet with a client who is ready to start load training (i.e., phase 3). Even so, there might be some minor deviations that need to be addressed. In this case, do you start from phase 1? Not necessarily, but you may incorporate some of the elements of stability and mobility training into the warm-up and/or cool-down to improve function before and after adding external loading to the body. That is, while the focus of the program would be on building strength through loaded exercise, stability and mobility training could be ongoing to improve overall function in the kinetic chain.